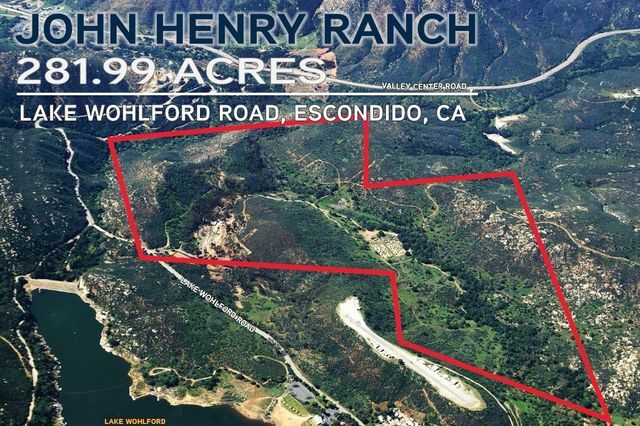 281.9 acres (APNs 190-090-02, 04,05; 190-100-03). General Plan RL 40. 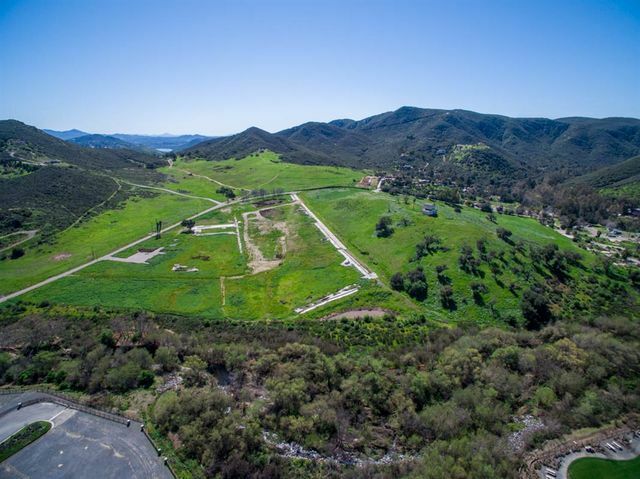 The site is currently in the County, but in the sphere of influence of City of Escondido. 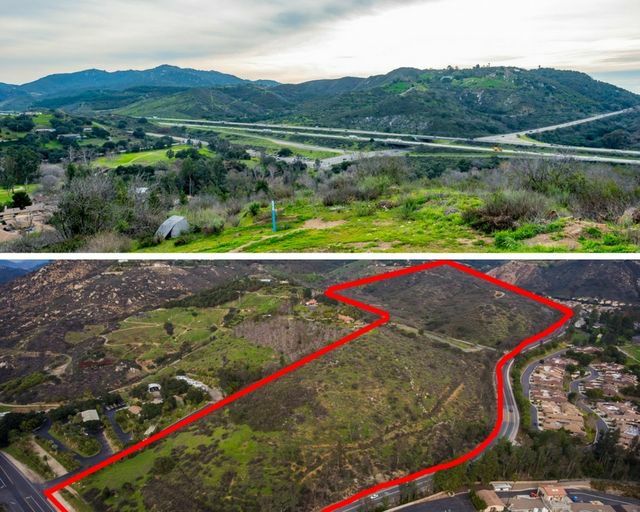 City of Escondido allows for clustering down to 2 acres. Located within the MHCP North County Subarea Plan. Currently property has an MUP for paintball activity. Annual lease rate of $30,000 renewed annually. 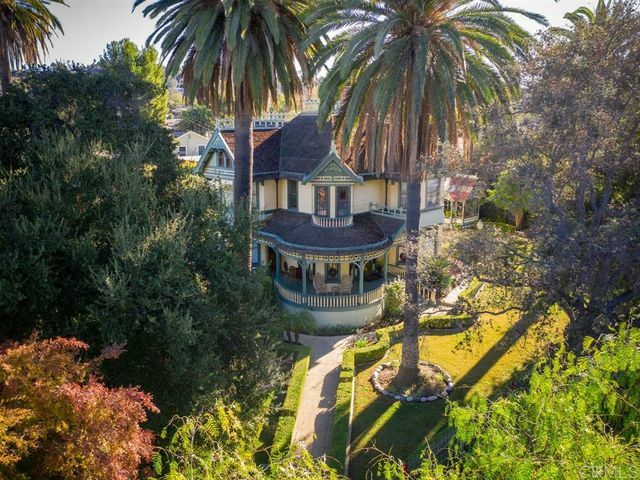 The "Beach House" (c. 1896), one of San Diego's cherished, architectural treasures on the National Registry of Historical Places & part of the Mills Act. The Victorian estate sits atop a private, .5+ acre knoll, surrounded by exquisite gardens, mature trees, Swiss Victorian gazebo, two porches & rear patio. The interior is a romantic, articulately planned turn-of-the-century masterpiece with one of the most intricate collections of hand-printed Bradbury & Bradbury wallpaper in the country. Ideal location. GORGEOUS HORSE PROPERTY. 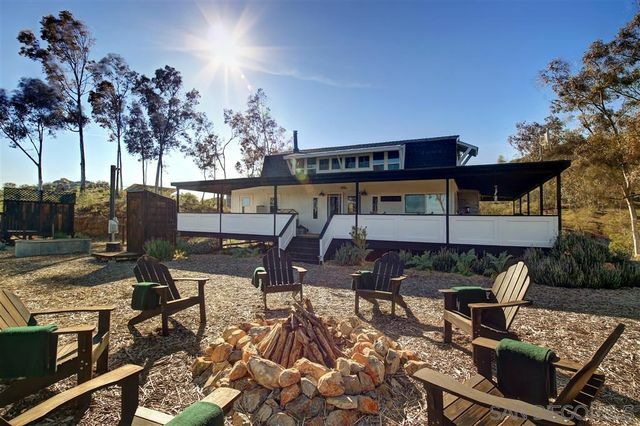 40 ACRES OF PRISTINE ROLLING HILLS, MEADOWS, RIDING TRAILS, MAGNIFICENT SUNSETS AND DISTANT OCEAN VIEWS; PROFESSIONALLY INSTALLED, LASER-GRADED HORSE ARENA WITH FOOTINGS AND EXCELLENT DRAINAGE; STALLS, PASTURES AND TURNOUTS FOR 8 HORSES, AND A NEW IRRIGATED PASTURE WHICH WILL ACCOMMODATE AN ADDITIONAL 6+ HORSES - ALL WITHIN 35 MILES OF DOWNTOWN SAN DIEGO AND THREE QUARTERS OF A MILE EAST OF THE I-15 FREEWAY.